We are delighted to offer for sale this well presented three bedroom home located in this popular residential road and within easy reach of Walton town centre and this picturesque stretch of the River Thames. The property has been improved and modernised in recent years and comprises entrance hall with cloakroom, bay fronted living room, impressive open-plan kitchen/family room with a modern fitted kitchen and granite work surfaces. Integrated appliances include oven, hob and dishwasher. The room has a nice, bright and airy feel created by a large patio doors and Velux windows. 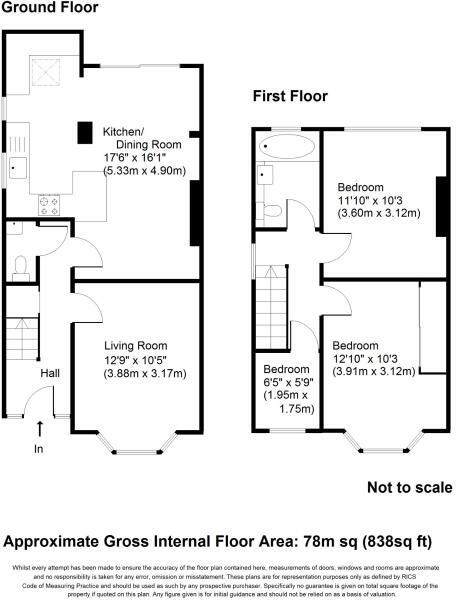 To the first floor you will find three bedrooms, two of which are doubles and a luxury family bathroom suite. The rear garden has a patio area leading to a lawn with timber shed to the rear. Parking is provided to the front of the property by way of a block paved driveway and there is a side access to the rear garden. The property benefits from double glazing and a gas combination boiler. 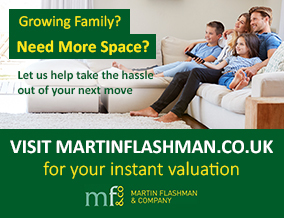 A lovely home which can be viewed by contacting Martin Flashman & Co.
Disclaimer - Property reference 090120193. The information displayed about this property comprises a property advertisement. Rightmove.co.uk makes no warranty as to the accuracy or completeness of the advertisement or any linked or associated information, and Rightmove has no control over the content. This property advertisement does not constitute property particulars. The information is provided and maintained by Martin Flashman & Co., Walton-on-Thames. Please contact the selling agent or developer directly to obtain any information which may be available under the terms of The Energy Performance of Buildings (Certificates and Inspections) (England and Wales) Regulations 2007 or the Home Report if in relation to a residential property in Scotland.